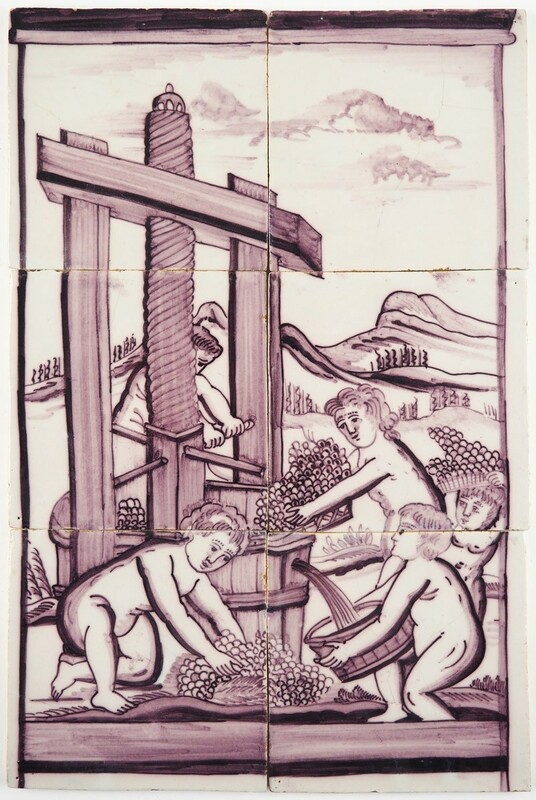 This beautiful and one of a kind Delft tile panel in manganese depicts five putti making wine. 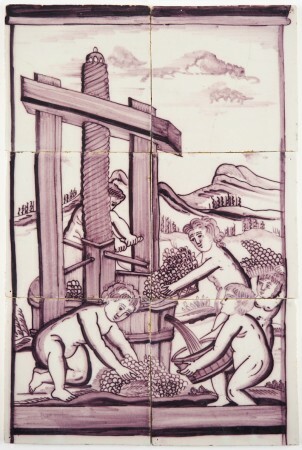 One of them rotates the wine press, while others bring in the grapes and collect the juice. 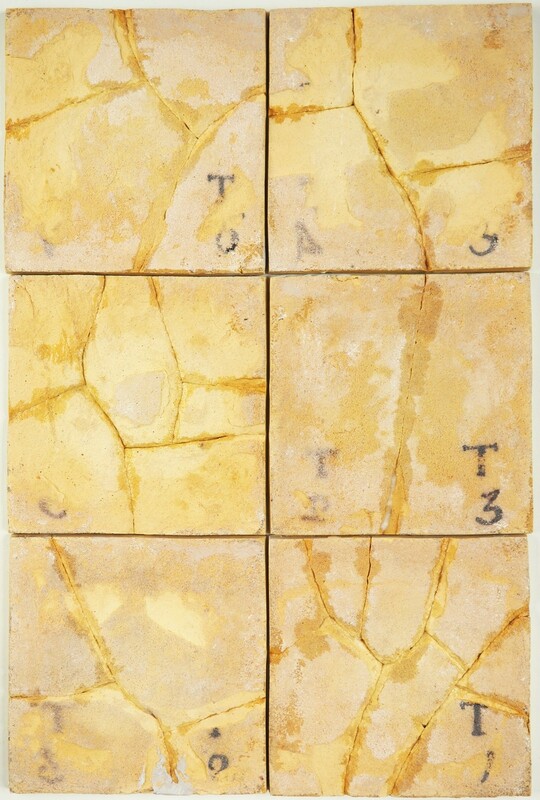 The tile mural dates from the end of the 18th century and was originally part of a larger tile pillar. Many of these pillars were partially lost or damaged over time, which resulted in tile collectors saving the most interesting parts whenever possible. This tile mural is in a great restored condition. It is completely ready to be reused for any kind of tiling project.